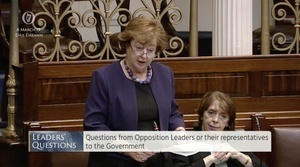 Housing is of real concern to people right across the country, including those not directly affected. 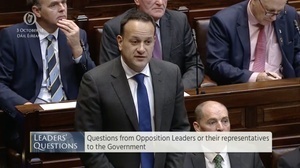 Taoiseach Leo Varadkar tweets a video of himself speaking about what he says the Government is doing to tackle the housing crisis. 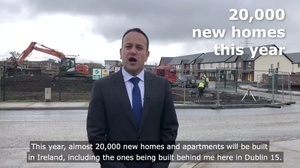 In the video, Mr Varadkar pretty much repeats what he told the Dáil on Wednesday – including the line that there will be 20,000 new homes built this year. 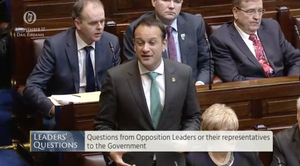 Mr Varadkar told the Dáil on September 18 that about 30,000 or 35,000 homes are needed. 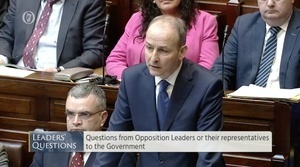 Posted in Misc and tagged Housing, Leo Varadkar at 4:13 pm on October 5, 2018 by Bodger. Sure, would you even notice if your wages were 43% down? 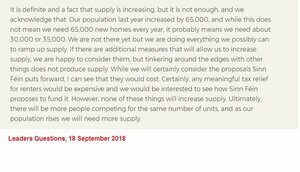 Meanwhile, the number of houses needed will continue to accumulate for next year. missing a limb or two?